Are you kicking off the New Year with a resolution to be healthier and happier in 2019? One You East Sussex, the county’s healthy lifestyle service, could help you reach your goal. 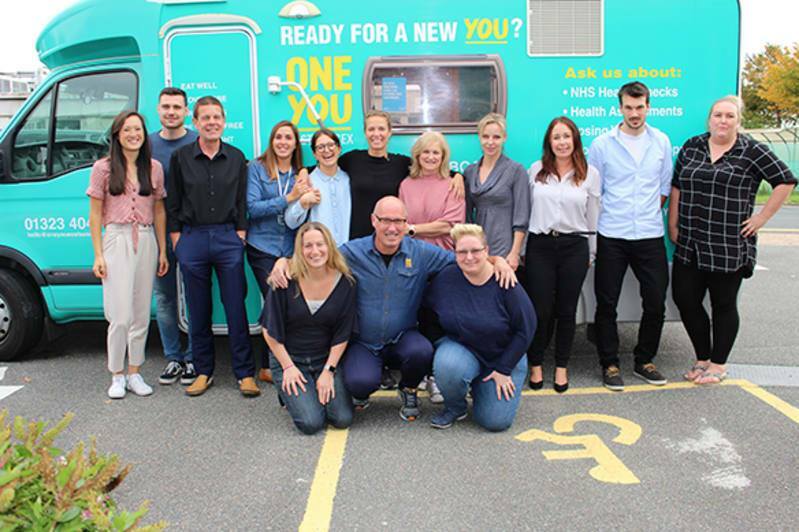 One You East Sussex has helped thousands of East Sussex residents improve their health and wellbeing since it began in 2017. Free services on offer include; help to stop smoking, help to lose weight, NHS health checks, and free training for frontline staff. Read how the service has benefited local people so far, and find out how you can get involved. The ‘‘Lose Weight With One You East Sussex’’ programme has proved to be a hit with local people. Since launch, it’s helped people in East Sussex lose more than a combined 2,000kg. The programme works in partnership with local leisure providers and on average those taking part lose over 3kg (6.6lbs/almost half a stone). The tailored group sessions combine nutrition support and guidance with modifiable physical activity, suitable for all levels of fitness and experience. The service is available to people aged 16+ with a Body Mass Index (BMI) of 25+. The service also runs MAN v FAT, a weight loss football league for men which has helped 300 men lose a combined 1,000kg. Players are weighed each week before the match, and if two team members have lost weight they ‘earn’ a goal before they’ve stepped on the pitch. On average, players can expect to lose between 5-6kg (11-13lbs/ almost a stone) per 16 week season. One player managed to lose 26kg (over 4 stone and 20% of his original body weight). MAN V FAT is available to people aged 16+ with a BMI of 27.5+. One You has helped over 2,000 people access a specialist stop smoking service. More than half (55%) of those taking part have quit. The service is available to people aged 12+ who are current smokers. Those taking part receive 1:1 sessions with a fully qualified Health Coach, who will advise on medications and behaviour change techniques to ensure your quit attempt is successful long term. Over 2,500 free NHS Health Checks have been completed with people in the county. The NHS Health Check is for adults aged 40-74, and is designed to spot early signs of stroke, kidney disease, heart disease, type 2 diabetes, and dementia. After the check you’ll receive personalised advice to help you stay healthy. The service also provides a number of free training courses for East Sussex organisations and front line staff. For example; Mental Health First Aid, Making Every Contact Count, Stop Smoking Advisor training and NHS Health Check Update training. Visit the One You website for more information. To find out more about the services on offer and to self-refer, visit www.oneyoueastsussex.org.uk or call 01323 404600. The One You support team will be able to give you more information about individual programmes and what best suits your need. This entry was posted in News and tagged health and wellbeing, NHS Health Check, staff training, stop smoking, weight management on December 12, 2018 by East Sussex Better Together. Keep up to date by signing up to the ESBT newsletter here. A partnership between Hastings and Rother CCG, Eastbourne, Hailsham and Seaford CCG, East Sussex Healthcare NHS Trust, Sussex Partnership NHS Foundation Trust and East Sussex County Council.